We continue our drive from Tomah, Wisconsin, in Monroe County, through Vernon County, and into Crawford County where I grew up on a farm 2 miles northwest of Seneca. We’re taking Highway 27, which runs through the heart of the Crawford County, from Sparta, to Viroqua, and down to Prairie du Chien. These farms, these people are close to my heart as a flood of memories of times growing up in this area. 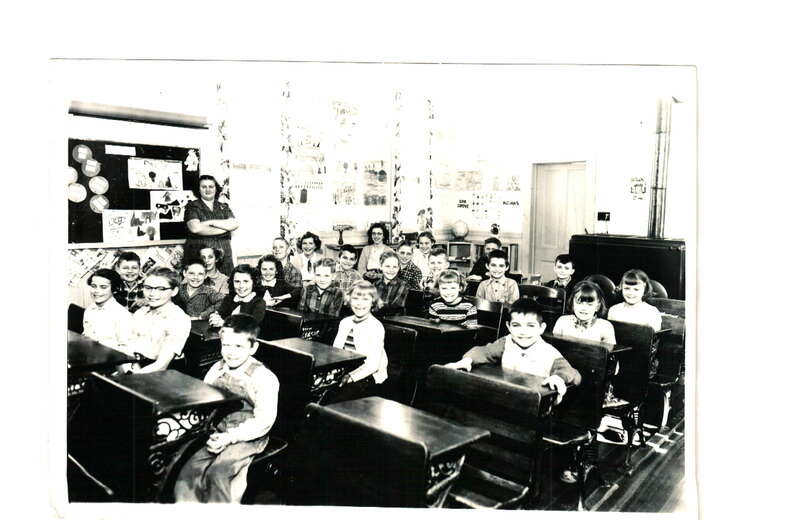 We visited Stony Point School on our last blog, a school that is no longer there. Over a slight rise and around the bend we come to the farm that Rollie and Arlie Anderson grew up. They went to our Tomah High School. Their mother died when they were 2 or 3 years old, and the father raised the two boys. Arlie later married Donna Kneeland, who was in my high school class. A quarter mile south on Highway 27 we come to the Lynch farm, a farm we can see from our farm on Oak Grove Ridge. Byron Lynch and Dorothy Lynch brought their kids, John, Charles, Mike, Mary, Dorothy, Susan, and Jane to church and catechism classes. And they attended Seneca High School. I thought there was an Ann Lynch also. Dorothy Lynch was actually from Canada. Her family moved to Jamestown , North Dakota, where she went to high school, and later came to live in Wisconsin with an aunt and uncle. She trained as a nurse and died of cancer in mid age, very tragic. Katheryn Lynch was a sister to Byron Lynch and she was the Crawford County nurse. She came out to Oak Grove School once or twice a year to check on the kids and give out a supply of goiter pills. Two goiter pills per week on a Friday. The Scheckel boys stole a few extra if we could get away with it. They were chocolate flavored. I remember her as tall, willowy, smartly dressed. She checked immunization records. I don’t believe she ever married, and lived from 1902 until 1990. She showed the 28 kids of Oak Grove School what good posture looked like. I recall how we put a book on our head and walked around, straight and head held high, so the book won’t fall off. We had a lot of fun with this activity, deliberately shoving or pushing a neighbor kid to make his book fall. In our next blog, we’ll edge into Seneca, right pass the Vedvik saw mill.